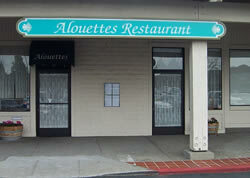 "I tried again and again and again to have the carpet in my Restaurant cleaned by several carpet cleaning companies. I was ready to give up, but I decided to give DeSimone Carpet Cleaning the last chance. It was my last resort before having to replace the carpet. I couldn't believe it! I don't need new carpet now, because he cleaned it so good. And now, I wouldn't have anybody else clean them. DeSimone Carpet Cleaning is professional, friendly and clean. I have and will continue to recommend him to a lot of people." "We have two children, one's three, the other a year and a half, and our carpets had gotten extremely dirty through the winter. We had DeSimone Carpet Cleaning clean the carpets and the results were amazing! The stains came up and haven't returned." "They're very professional, highly skilled and dependable. We recommend Desimone Carpets for any commercial or residential carpet cleaning needs." 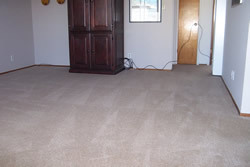 "We had a red wine stain and DeSimone Carpet Cleaning was able to get it out. It hasn't come back since! And… our carpets throughout the whole house look brand new again." "My wife said it was time to have our light-colored carpets cleaned, and I was very surprised with the results. Stains gone and everything is brighter. I would recommend DeSimone Carpet Cleaning to any homeowner." "We had a stain in our master bedroom. I tried several of carpet stain removers and it actually made it worse. I was amazed to see the stain disappear after the professional cleaning by DeSimone Carpet Cleaning. Not only did our carpets look nice but the house had a very clean smell to it. I would highly recommend this company to my friends and family. Thanks again." "DeSimone Carpet Cleaning always does a great job on our carpets. They are professional and trustworthy and are now the only company we use. We would definitely recommend them." " I have had Joe the owner clean my carpets twice now and have been impressed each time. The cost was reasonable and the he was very attentive to the house and carpet. "